Could you be at risk of a stroke or heart attack without knowing it? Blood Pressure UK is encouraging you to find out by checking your blood pressure this week. The charity is running ‘Know your numbers!’ week to prompt people to check their blood pressure as they say 1 in 3 UK adults has high blood pressure, with many completely unaware of this. High blood pressure can cause strokes and heart attacks and can also contribute to kidney disease and dementia. You can check your blood pressure at home today. Which? 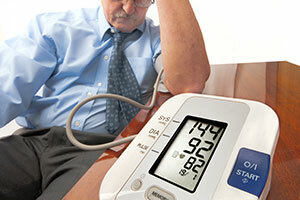 has tested 22 different monitors to find the blood pressure monitors you can really trust to get an accurate reading. A good blood pressure monitor will be accurate, comfortable to use as well as being simple to operate and quick to take an accurate reading. Our tests revealed great value Best Buy blood pressure monitors that cost less than £25, and outperform rivals costing up to £100. Which? health expert, Joanna Pearl said: ‘You can feel perfectly well with high blood pressure, which is why accurate monitoring is so important’. 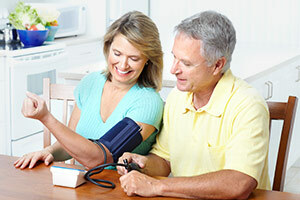 Find out how to measure your blood pressure and understand your results. Not all blood pressure monitors can do a decent job though, as our latest tests also revealed. We labelled seven monitors we tested as Don’t Buys, as it’s not possible to trust the readings, which we think is unacceptable when you’re relying on those readings to spot problems. Find out which are the Don’t Buy blood pressure monitors you should avoid. Blood Pressure UK’s ‘Know your numbers week’ runs from 14th – 20th September with the charity urging people to get their blood pressure checked and understand their own blood pressure. Free blood pressure checks will be available at ‘pressure stations’ during the awareness week so you can drop in and find out your blood pressure.